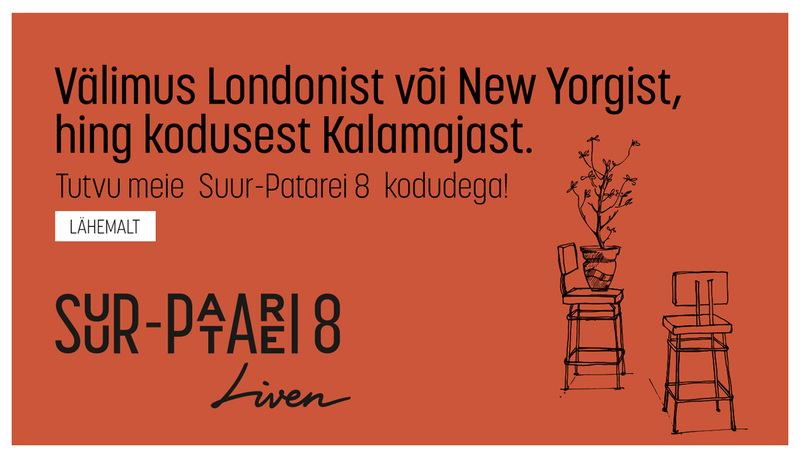 Yesterday, 25 August 2016, the first apartment association meeting took place along the Tallinn Culture Kilometre, at the future location of Katla Maja, the new project of Liven Kinnisvara. In spite of the fact that construction of the building has not yet even begun, an informal meeting for future residents was arranged for interested parties and those associated with the project. In addition to the discussion of structural questions regarding the building, a table tennis table was selected to furnish the yard area and a film, good food and drinks were enjoyed together. The apartment association meeting was, of course, unofficial. The intention was for future residents to get to know one another in a social setting, where it was also possible to present questions to the architect of Katla Maja, Olavi Kukk, and interior architects Tõnis Kalve and Ahti Grünberg. After which the table tennis table was presented, which the residents of the building can later use in their yard. The selection proved to be a concrete, weatherproof table designed by Risto Kozer. The evening concluded with the viewing of a film. Interior architect Ahti Grünberg believes: “Katla Maja is a unique house, which is not suited for everyone. The simplest way to characterise it is with the following key words: high ceilings and industrial style.” Interior architect Tõnis Kalve describes the work as follows: “Katla Maja has been an easy project! When you do something that exactly reflects your own personal tastes, then it comes naturally and without effort.” Interior architects Kalve and Grünberg have also participated in finding renovation solutions for the Tallinn Creative Hub. Led by fresh, yet experienced people, Liven Kinnisvara is engaged in real estate investment management and real estate development. Depending on the location, Liven Kinnisvara creates the best living environment, in which form follows function, where the building fits, has respect for its surroundings, and reflects modern aesthetics. Liven contributes at least as much energy to the preparation of the project as to its execution and communicates honestly and clearly with its partners. Katla Maja is an apartment building being built within close proximity to the Tallinn Creative Hub, characterised by its industrial style, high ceilings and being the favourite location of cultural enthusiasts. Katla Maja is Liven Kinnisvara’s second project and has proven to be hugely successful. Central Residence, located in Lasnamäe, was also two-thirds sold-out even before construction began.